I just seen a commercial that “Magnum PI” is gonna be on CBS. A new series of course. 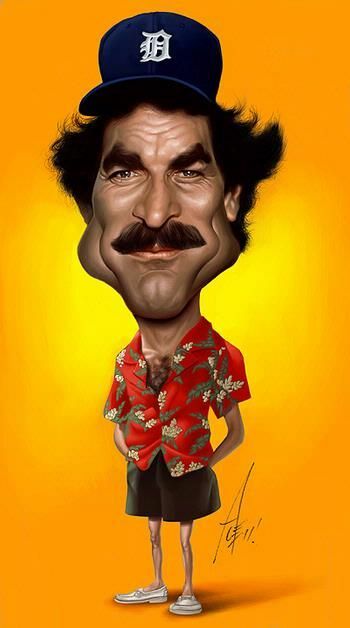 I loved the old show with Tom Selleck, who is going to be the new actor? Commercial was so short I didn’t get much info. Showed guy and some Dobermans. I asked wife, is this a new magnum? It was like, 12 seconds long. Nothing like taking an entire “world” that a series created… and just destroying it. They should leave the original untouched. Hell, call it “Son Of Magnum”, anything, but don’t just obliterate the character. Perdita Weeks is a hot li’l thang, though. Magnum is one of those things that suffered from a cultural shift. Other male dominated action series from the time are well remembered but dated, A-Team, Airwolf, McGyver etc but somehow Magnum, though in it’s day as prominent as the others, is less remembered, it hits below its weight class when the topic of classic 80’s TV is raised. 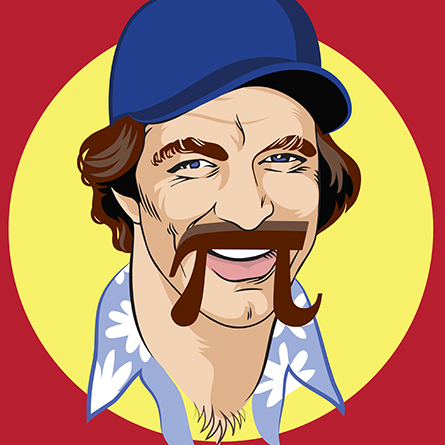 I suspect it is because the Tom Selleck character is now too much of an outdated stereotype, too one-dimensional. The entire series was built around a deep voiced, hairy, 70’s style masculinity, so was already dated in the 80’s. I liked it, and it was popular, but in hindsight it is not surprising that it has faded in people’s minds ahead of the others. Spoiler alert. The new Magnum is a girl. Didn’t Magnum end up the police commissioner for New York? All that PI experience I guess. Personally I think the stories on the Rockford Files were better. But what PI has to live in a shabby trailer on the beach. I rather want to watch a TV show from the CBS production facilities on Hawaii. Compliments from the original Hawaii Five-O series. Sadly, Jack Lord never appeared in Magnum PI. No, Juliet HIGGINS is a girl, played by Perdita Weeks. Jay Hernandez is the new Magnum. I was afraid that to be “different” they’d make Magnum II a gay black transgender woman with Down’s Syndrome in a wheelchair or something. Hell, Starbuck is now a woman, Chin Ho is now a woman, Li’l Orphan Annie is black.. nothing against having either blacks or women or anyone in a role, but don’t try to “reinvent” existing characters, ferchrissakes. What in Hell’s wrong with taking a similar storyline and just naming it something else?? Make it its own show, give it its own identity, but don’t destroy an existing universe. Seems those coke-addled writers can’t come up with anything original anymore, they gotta “reboot” existing shows from decades ago, but put their own spin on it to try to claim some “originality”. I want Mannix. He’s tres kewl, and had a head like a rock with all the times he got brained by some badguy. A pet peeve of mine. Hollywood buying the rights to a successful story/series and then effectively eviscerating the character/storyline and therefore dooming any chance of it becoming a movie series. Examples: tom cruise as JACK REACHER, Denzel Washington as Lincoln Rhyme and changing his quirky/gay caregiver to a black woman with none of the attributes which made Tom a welcome addition to the series. And finally Relic without Aloysius Pendergast…what lamebrain figured Pendergast was a superfluous character to be written out. Effectively killed the movie series. Phooey!! I like them both for very different reasons. One of the few things I really did not like that was a very important part of the Rockford Files was that he was an ex-convict. Maybe it had to do with early in life run ins with those that may have paid society back but still were not good people. /shrug. Now later in life I know how far fetched it was that he was a PI, never mind that he worked with the police and was one of the “Good Guys”. Magnum PI had it’s own problems as well, like no reality basis of being a house investigator for a rich sugar daddy. Meh, time and age kills the suspension of disbelief. I like them both for very different reasons. One of the few things I really did not like that was a very important part of the Rockford Files was that he was an ex-convict. Maybe it had to do with early in life run ins with those that may have paid society back but still were not good people. /shrug. Now later in life I know how far fetched it was that he was a PI, never mind that he worked with the police and was one of the "Good Guys". Magnum PI had it's own problems as well, like no reality basis of being a house investigator for a rich sugar daddy. Meh, time and age kills the suspension of disbelief. Just entertainment! I always liked the soundtrack of Rockford Files myself. Many moons ago I was fortunate to be a paid extra on one of the Magnum episodes. The one where Higgin’s Irish Preacher brother visits from Ireland, looking for stolen religious relics from his church. Rockford was set up and later pardoned. Magnum was great too, I loved the scenery. Main reason I watched Magnum was because of the scenery. Never made it to Hawaii but will happen one day. I've been enjoying the "good girls"